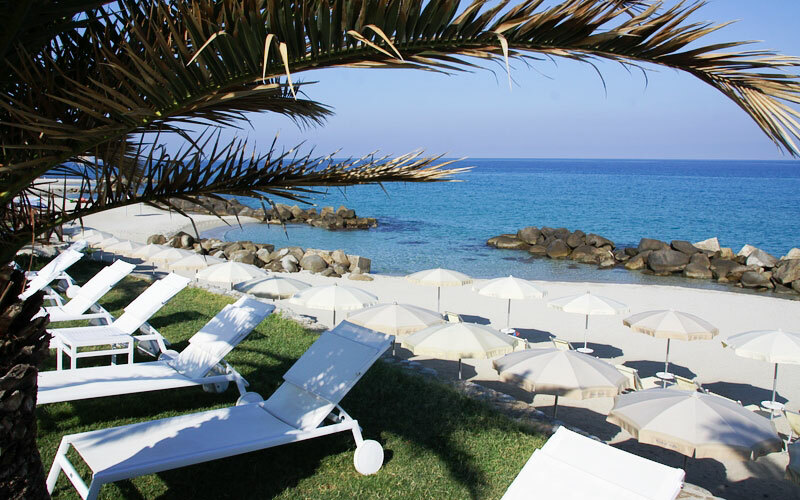 Want to sleep on the most beautiful beach in Calabria? 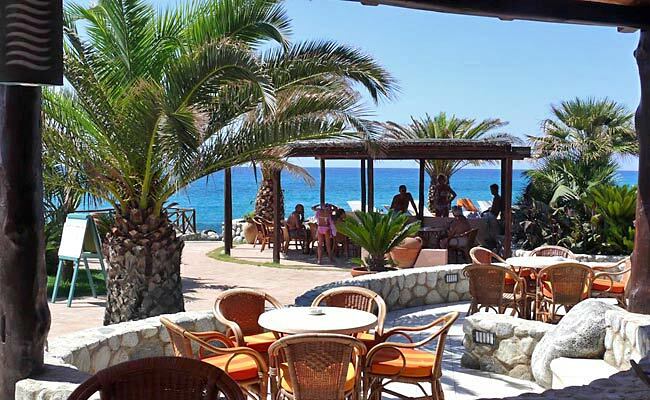 With its dream location, on one of the most beautiful beaches in the whole of Calabria, its great choice of accomodation, superb cuisine and excellent leisure and entertainment facilities, it's no wonder Capo Vaticano's Cala di Volpe is such a popular place to stay! The resort's private sand and shingle beach attracts holidaymakers from first thing in the morning to long after sunset. 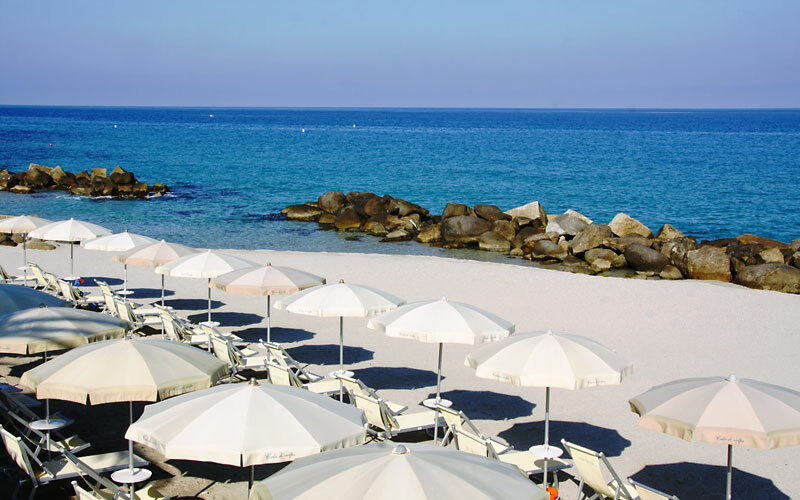 Whilst sun worshippers are likely to spend much of the day topping up their tans, as they relax on one of the comfortable loungers, swimmers will love bathing in the crystal clear waters of the Tyrrhenian sea or in the hotel's beach front pool with Jacuzzi. 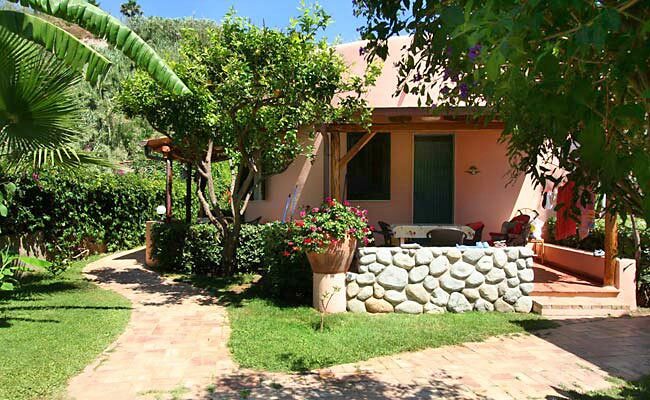 In Cala di Volpe's wellness center guests are granted free access to the Turkish bath and fitness room. Beauty treatments and massages are available on request. Immersed in the exotic colors and delicate scents of Cala di Volpe's tropical garden, the resort's welcoming one and two bedroom flats have been designed to provide guests with their very own seaside home-from-home. Each apartment has a fully equipped kitchenette and a veranda or private patio. 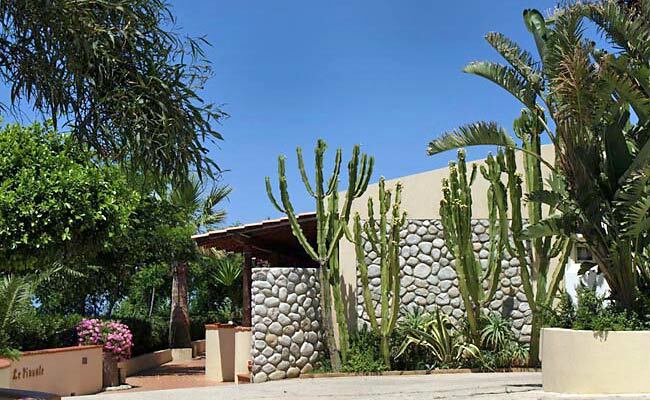 The residences, Villa le Pinnate and Villa Le Agave, have great sea views. The most exclusive accommodation is located in the new Borgo le Rocce. 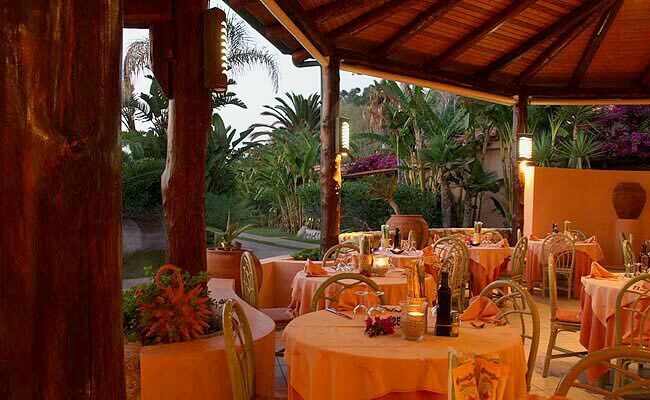 In the evenings, excellent regional and International cuisine is served in Cala di Volpe's "I Ricci" restaurant, either in the main dining room or al fresco on the terrace. During the day, appetizers, salads and light lunches are served at the hotel's snack bar. Want to experience the best of Calabria's cuisine? 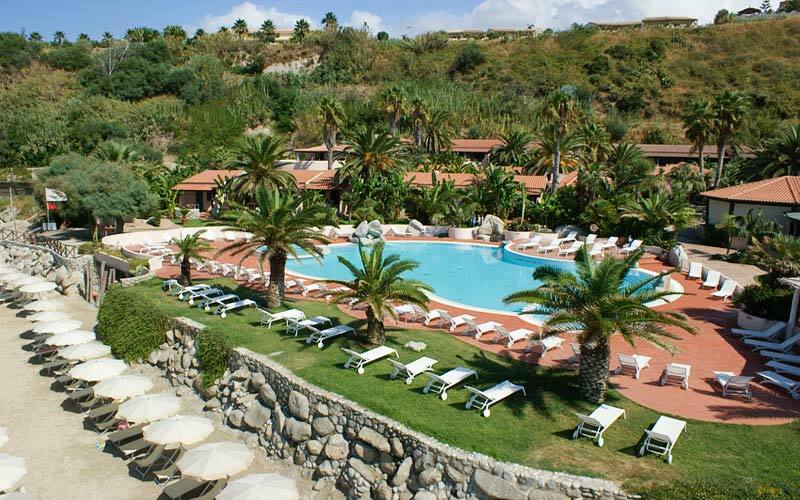 Don't miss the resort's "Calabrian Flavors" unforgettable gastronomic evenings! In the last 30 days 62 people have visited this page. 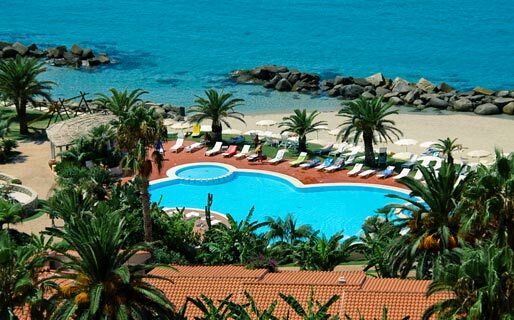 The Cala di Volpe hotel and resort is situated on the beach of Capo Vaticano, on a stretch of coast considered to be amongst the most beautiful in the whole of Calabria. Tropea, Vibo Valentia and the pretty little town of Pizzo, known as Calabria's ice-cream capital, are just a few kilometers from Ricadi. 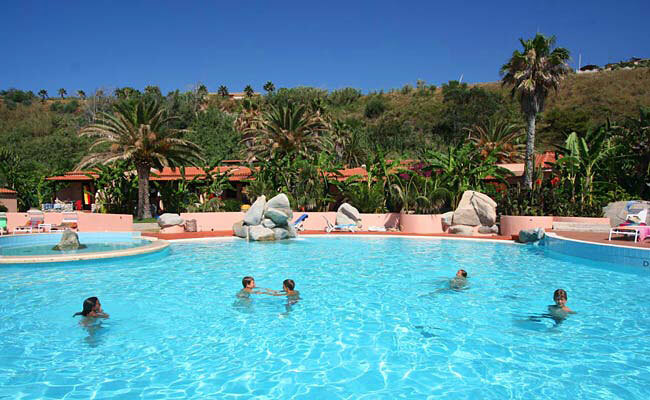 The Aspromonte National Park and the city of Reggio Calabria are approximately a two hour drive away. Again, two hours will be required to make the boat journey to the Aeolian islands of Lipari, Panarea and Stromboli.